My madness continues… and last night I joined in with Grace and eventually Storm and Muspel to do some Palace of the Dead. Essentially PotD is the new FATE grinding, and while it can be sort of repetitive, I never seem to get tired of it. I mean I thought Tam was insane when he went through his own period of time where he lived in dank dungeon, but now I finally get it. What I am loving about it is that I can just hop in… run a bunch of Palace of the Dead… mentally be somewhere else like watching a movie or a television show and then still feel like I made significant progress at the end of the night. The first goal has been to catch up my classes to 50, because it is going to allow me to have a massive house cleaning of everything that has been clogging my retainers. I have a problem with gear, because I know that eventually I would love to have every single class to the level cap. That is just the sort of person I am. In World of Warcraft I actually achieved this goal prior to the launch of legion and had at least one of every alliance character sitting at 100, and three horde characters as well. Currently I have my Warrior sitting at 60 and he is my only viably geared character for doing big kid stuff. Then you have my Dragoon that I also leveled to 60, but promptly abandoned because playing that class in Heavensward was just so much less enjoyable for me than it was in ARR. When I was last furiously playing the game I was working on my Bard, which had become my defacto dps class for awhile and I managed to get it up to 55. Then we drop down to my 50s which are Paladin that I have not touched since Heavensward because I simply don’t really like playing a Paladin tank. We have my newly raised trio of casters in the form of the Scholar, Summoner and Black Mage all sitting at 50. Then we drop down to some 30 somethings with Ninja at 38, Monk at 33, and Dark Knight at 33. I have yet to even pick up the quest to be a Machinist or an Astrologian but at some point I probably need to do that so that I can weave those into the rotation as well. Now I am sort of torn as to what I should pick to level next, but for the moment I am leaning towards either the Dark Knight because I miss playing heavy armor classes… or the Ninja because they are just really fun to play. The other set of goals that is staring me in the face is that when I last left my crafting… I had managed to push everything up to 21… with mining and foraging sitting at 50. At some point I really want to start this grind again and push everything up to at least the point where I can make glamour prisms. In theory I should be doing my beast tribe dailies to use those to level my crafting, but I just haven’t reached a point of getting back into the game enough to sort everything out to be able to do that. Once I finished with the Sahagin I sort of let the beast tribe thing die once again… but in theory should be doing the Ixal at least for crafting levels. Whatever the case it seems like I have been assimilated back into Final Fantasy XIV, and have more goals than I can realistically accomplish. My Warrior gear could also always be improved, but I am just finding PotD a relaxing way to spend my evenings… but sadly one that is not terribly interesting to write blog posts about. This weekend it finally happened… I finally reached a point where I am full saturation once again in Final Fantasy XIV. I am not really sure if it was the Fan Fest news trickling out over the weekend, or the introduction of Stormblood. Whatever the case I spent the majority of the weekend plunked down on the sofa playing FFXIV. Now the bizarre part of this however… is that I played a bunch of classes that I traditionally never play. I almost exclusively played finger wigglers, which lead my guild to wonder if I had been replaced by a pod person. Would I even know if that actually happened? I mean do the pod people actually know that they are pod people? Whatever the case two different things were happening this weekly. Primarily I was using the Palace of the Dead to level classes that would be cool to have at max level… but that I don’t really want to level properly. Namely Scholar and Summoner, which admittedly is the same leveling process… but I spent most of the weekend running around with Garuda Egi in dps form. I finished the grind Sunday Afternoon and then went rummaging through my vault to find something to wear. Thankfully I managed to scrape together enough gear that I picked up along the way to hit somewhere in the vicinity of 110. From there I spent a good amount of time catching the Summoner and Scholar up on their quest chains… which were laughably easy now that I overgeared them by a significant portion. The thing that is making the leveling process awkward is that I switched Grand Companies between now and the last time I leveled… and as a result my vault is full of a bunch of Immortal Flames gear that I cannot actually use. 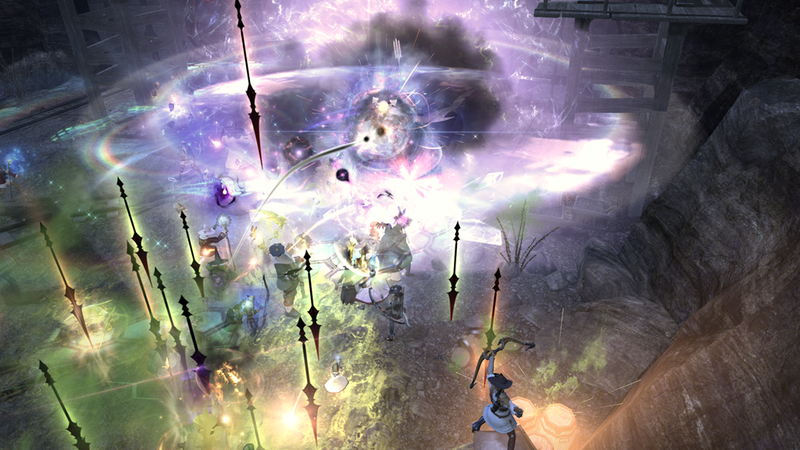 Side note… Maelstrom completely fails because the low level Black Mage weapon is a one-handed item. Regardless I managed to catch up quickly and now have four sets of awesome gear… 2 for summoner and 2 for scholar because I guess they just straight up give you the recolored version now? The recolor was pretty different on scholar so I went with the good ole classic. On summoner however they both looked pretty samey and I went with the evoker set not really knowing if that is the original or the reskin. Side note… summoner “Egis” are hilarious as a Lalafel since they are always larger than you are. After getting Summoner and Scholar to 50… and through their class content… I shifted gears and started working on Thaumaturge. I had managed to get it to 26 a long time ago only because it was the level needed for a cross class ability. I stopped there expecting to never pick it up, but instead tonight I dusted things off and tried to make a viable build work. I guess in part I am wanting to get all of my casters to 50… so I can have a massive cleaning out of my vault given that I have so much gear laying around and there is zero way I can survive another expansion with the vault in its current state. In truth I think it would be kinda cool to get ALL of my classes to 50, but given that I have not even started on Machinist and Astralogian…. and only have Dark Knight to 33 that might be awhile off. I do however find Palace of the Dead extremely relaxing, especially the manner in which I am running it. I am simply running 51 to 60 over and over which still seems to move the bar up nicely on weapons. The other side benefit of the weekend is that I can now purchase my next weapon upgrade for the Warrior… however in order to do that I am going to actually have to beat level 100 at some point. 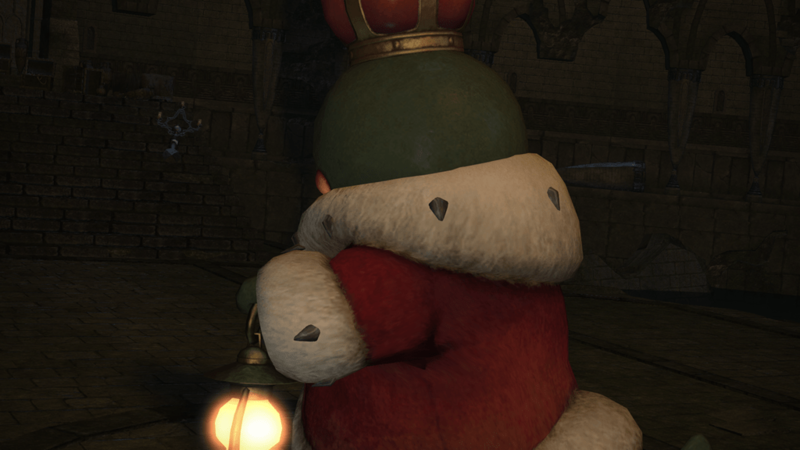 I can begin pestering my friends about that now… but having run 1-50 for a friend this weekend… I know just how much of a slot doing an entire PotD can be in one sitting.